I’m not gonna lie, kids. I did some squealing and box-hugging when this showed up today. 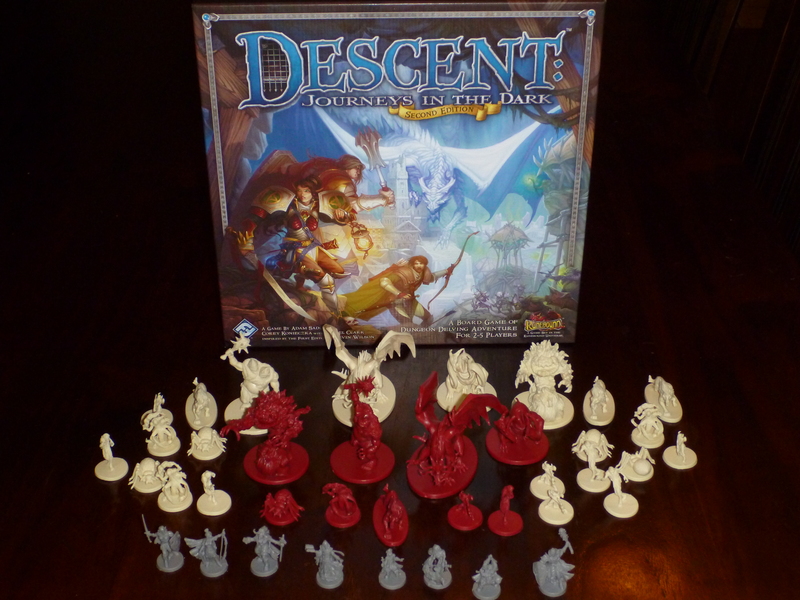 As you may recall, I love me some Descent. It’s the game I’ve played the most consistently, the most often, and over the longest period of time. I just finished the second of two back-to-back year long campaigns, and would have been happy to play more the very next weekend. That said, Descent isn’t without its flaws. Like a lot of tactical games, each expansion pushed the limits of the core ruleset further and further away from what it was originally intended to do, until we ended up with things like sea battles in a dungeon crawl game and epic campaigns for a single session ruleset. I think the designers did a fantastic job overall, but honestly, there’s only so far you can take things. Which brings us to today, seven years after the original release back in 2005. The new rules are more elegant: easier setup, better line-of-sight mechanics, more streamlined overlord experience, even a built-in modular campaign system. The hero characters are better designed and now support classes, making them more customizable and interesting. They even revamped the dice system. That’s all to the good, and from having read the new rules and gone over the new mechanics, I think it’ll be a delight to play. I haven’t played it yet, but when I do I’ll post my thoughts about how the play experience has changed, and if I think it’s really for the better. In the meantime, check out the official page here, and grab the rules here. Now I’m off to fondle punch out all the parts and round up some victims players. Free Books for the Fourth! 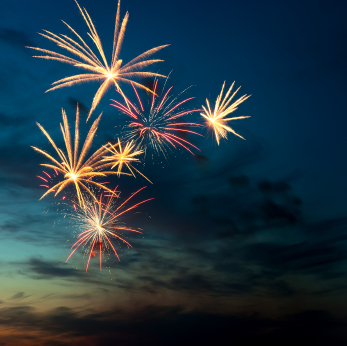 Because I like you, I totally want us to celebrate Independence Day together. I considered showing up at your house with a sack full of illegal fireworks and a bottle of tequila, but I seem to recall having to hitchike home naked from the pet store last year. So, this time I’m just going to give you a present and let it go at that. I think we can both agree that’s the smart thing, even, dare I say it, the adult thing to do. Today only, both Bad Radio and Walker are free on Amazon. Cause the best part of the word freedom is free.